The Rock has had a busy schedule over the past few years. From “Central Intelligence” in 2016 to “Rampage,” earlier this year, moviegoers’ favorite muscle man has starred in at least two films a year since 2015. While he’s taken on a few unique roles here and there (i.e. Maui in “Moana”), it’s safe to say Johnson’s average big screen persona is, more or less, the same in every one of his films: an average man in an extraordinary situation forced to save the ones he loves. 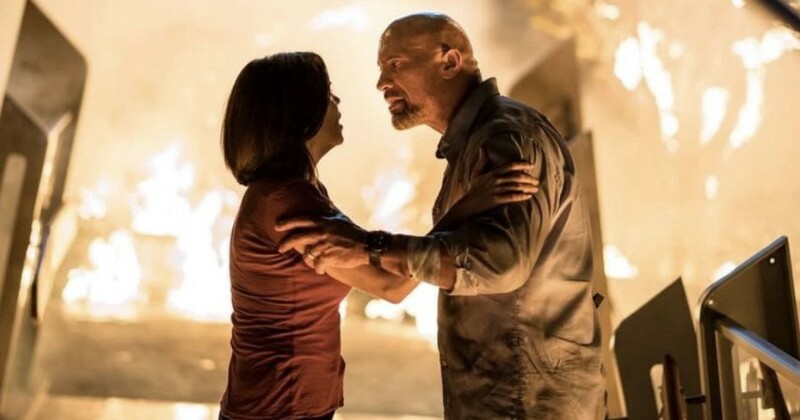 While The Rock clearly has an affinity for playing the average “hero dad,” as Matt Singer described it, Johnson’s movie characters feel like a display of how he wants the world to see him. But, no matter what, the characters The Rock plays are fundamentally not the man he is in real life. To follow the point I’m making, it’s important to first have a true understanding of the Rock’s on-screen persona and his rise to American’s favorite “hero dad.” The role that arguably cemented Johnson’s status as a Hollywood A-Lister — and his average big screen persona — was the character of Hobbs in the “Fast & Furious” franchise. Over the course of four films, Hobbs became part of the central family of criminals while also acting as dedicated and loving father to his daughter. The widespread box office success of these films helped to firmly establish the Rock’s on-screen status as a heroic family man, allowing him to land similar roles in other films outside of the Fast & Furious franchise. Most recently, in “Skyscraper,” Johnson plays a disabled veteran who must infiltrate a burning skyscraper to rescue his family from the terrorists. If that isn’t a classic example of a typical Johnson role, I don’t know what is. Now, I’ll admit, in some ways, the everyman persona The Rock plays mirrors his personal, real-life narrative. The story of Dwayne Johnson, the man, is inspirational. He overcame poverty in America, a feat in and of itself, to become one of the biggest names in the WWE. Then, once he was done wrestling, he successfully leveraged his WWE status to become one of the most successful blockbuster stars since Tom Cruise. Through all the swagger, Johnson genuinely believes that the rest of us can be as successful as he is. He believes this so much that he had a reality show called “Wake Up Call” where he helped people with problems get their lives back on track. Audiences know he’ll survive anything because he isn’t an average “hero dad.” The fun of his films isn’t seeing him narrowly escape. When he’s cast, audiences are in on the joke: the bad guys of the film picked the wrong guy to mess with. Seemingly, the only person that doesn’t get this joke is the Rock himself. I can acknowledge that The Rock wants to be the relatable hero. He appreciates why audiences connected with John McClane and is trying to replicate that in his own performances. But The Rock isn’t John McClane. Instead, he’s a victim of his own success. When a person overcomes the challenges he has in his life, the only fitting public person is that of triumph in the face of adversity. Therefore, to see him play somebody “average” in actual danger will always ring hollow. The Rock wants the world to see him as Bruce Willis, but he’s Arnold Schwarzenegger instead. Sandi Moynihan is a journalist, multimedia storyteller & photographer/videographer with a special love for fitness and events. Based in Washington, DC.